I’ve been a Verizon FiOS Internet customer for almost two years now and have enjoyed the service. 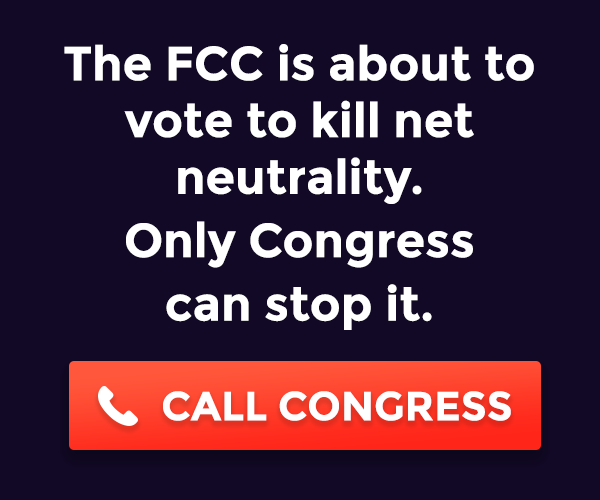 I had been a Comcast Cable Modem customer prior to the Verizon FiOS Internet installation but had grown frustrated with the large amount of packet loss, frequent disconnects and the poor bandwidth/throughput. The time came today to cut the last ties with Comcast. The Verizon technician and myself had everything installed and cabled within 60 minutes. I should explain that my house is only eight years old and was cabled with RG-6 to every room in the house. We also replaced the original D-Link Wireless eXtreme G router with a Verizon Actiontec MI424WR router (pictured to the right). I had heard of some horror stories with the Actiontec MI424WR router and anyone using AT&T’s Call Vantage VoIP service. It just happens that I’m an AT&T CV customer and a happy one at that. Thankfully though it looks like Verizon and Actiontec have worked out the problems that were affecting the MGCP protocol that AT&T uses. I have three HD TVs in the house and a few SD TVs as well. The QIP6416 HD DVR was placed in the family room attached to a Sony KV-30HS420 26″ Widescreen HD CRT (this beast is almost 200lbs). One of the QIP6200s was placed in the basement attached to a Hitachi 51″ 51SWX20B HD Projection TV. The second QIP6200 was attached to a Samsung 19″ LNT1953H HD LCD. The QIP2500 was connected to an old RCA TV. It looks like I’ll be saving about 25% over what I was paying Comcast. I’m happy to recommend Verizon’s FiOS service to anyone that might be so lucky to have FiOS available in their area. The picture quality is awesome and the price is right too! I’ve had Verizon’s FiOS TV for almost a month now. The entire family including myself are generally very pleased with the service. I still need to refer to the channel guide in order to find a specific channel or station because there are just so many channels. I’ve observed a few occasions where the program data contained in the guide was wrong but that’s to be expected from time to time. I was disappointed when I set the DVR to record Lost and it recorded 30 minutes of Jerry Seinfeld along with the first 30 minutes of Lost. 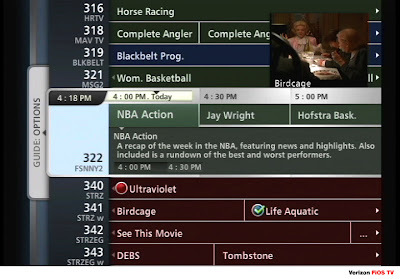 I would agree with those folks that call the Verizon FiOS Interactive Guide very “busy”. There is a lot going on and it’s sometimes difficult to focus and read through the content with it being so busy. On another note I’ve only had one issue with the Verizon Actiontec MI424WR router. It seems from time to time that the router is unable to resolve DNS requests. If I statically configure my PC to use the Verizon DNS servers directly I don’t have any issues. I jut recently received a letter from Verizon informing me about a change in Verizon FiOS TV that may impact my service. Over the next year, Verizon will continue to improve the Verizon FiOS TV experience by transitioning all analog FiOS TV channels to a 100% digital format. In addition to extending the quality of digital to all TVs in your home, this change will enable Verizon to bring you even more of the great HD and special interest content you’ve come to expect from FiOS TV. Customers subscribing to Verizon FiOS TV will experience this transition to an all-digital service beginning in June. Shortly after this transition, you’ll see even more great content from Verizon. It seems that Verizon will be providing FREE equipment to all current subscribers that still have analog TVs connected in their house. This should be very interesting period as the looming all-digital conversion gets closer. It would seem that just like everyone else out there I have the same problems and woes. I powered on my rig last Saturday morning only to get a SMART warning from my Epox Nforce4 Ultra motherboard. 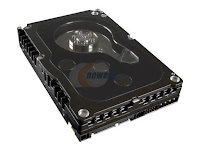 SATA1 hard disk failure imminent; backup data and replace disk immediately. Let me just tell everyone that the performance boost is very noticeable. I will admit that I had to re-install Windows XP so that is probably also playing into the equation, but the system and GUI are much more responsive than before. I would quantify it at between 15% and 20% increase in performance. The Raptor X is only a SATA (1.5Gbps) while my two previous SATA drives were (3.0Gbps) but that doesn’t seem to really matter. The drive has a clear top to it so you can see the actual head and disk platter, just be careful not to push/lean on it. When I last spoke about my home desktop computer I mentioned that I was waiting for the release of the new Logitech G15 keyboard. I’m happy to report that the new G15 has been released and I’m happily typing this article on it right now. I found a wealth of plug-ins for the built-in LCD display and I’ve found some very interesting uses for the macro keys. Overall I’m very happy with the new Logitech G15 keyboard. It complements the new Logitech G5 mouse I’ve had on my desktop for the past six months. The version of the G5 I have includes two thumb buttons on the mouse, great for those of us that game. I had the opportunity to upgrade my headset a few weeks ago. I had been using the Plantronics GameCom 1 3.5mm headset with the on-board audio from my Nforce4 Ultra motherboard. Unfortunately the cable got wrapped around my three year olds foot just before she ran out of the room. All the kings horses and all the kings men weren’t going to put it back together so I decided to order the Plantronics GameComPro 1 USB headset. 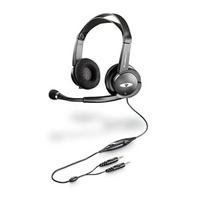 The Plantronics GameCom 3.5mm headset is definitely hands down the best value and product in the price range ($19.99). I’ve used this headset for about two years now (replacing them as they get broken) and it’s very comfortable. I use this headset in conjunction with the on-board audio from my Nforce4 Ultra motherboard. It works very well and provides good sound both as an output and input (microphone). Just remember that you’ll need either a dedicated sound card or on-board audio built into your motherboard. I know the audiophiles would argue that the on-board audio isn’t anywhere near the quality of a dedicated sound card but for those of us that just need basic audio, this should work fine. 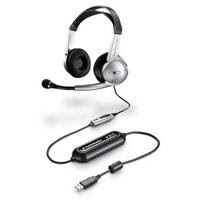 T he Plantronics GameComPro1 USB headset is also a very nice product. It is a USB solution that houses it’s own DSP (essentially it’s own soundcard). It has the same basic design as the GameCom headset above and I would rate it in line with the sound from my on-board audio. Unfortunately the DSP doesn’t have a Mixer so you might have issues trying to use a USB headset with FRAPS to record voice/sounds with various applications/games. For those that don’t have either a sound card or on-board audio from their motherboard this is a great option. Last week I decided to sink some money into my slowing aging desktop computer. I upgraded my 9 year old 19″ Dell CRT to a 22″ Samsung 226BW Widescreen LCD and my eVGA 6800GS to an eVGA 8800 GTS 320MB. I have to say I’m pleased with both components. The widescreen display is really nice when working with multiple applications and windows and the 8800GTS just about lays waste to any game that I might have (Battlefield 2142, Company of Heroes, GRAW2, Armed Assault, Half-Life 2, etc). 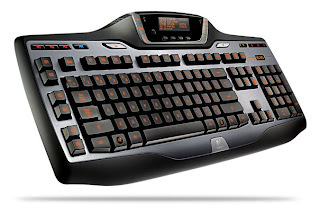 I’m currently waiting for the new version of the Logitech G15 keyboard to be released. The original version of the G15 seems just too big and large for me and my desk. I’m currently using an old 102-key Dell keyboard that came with me Dell 8200 almost9 years ago. The upgrade and installation were fairly easy. The 8800GTS cards really take up some space so you need to be careful of the clearance within your computer case. They are about 9 inches long and occupy two slots sometimes making it impossible to run them in an SLI configuration. Although I understand the the 8800GTX is almost two-three inches longer than the 8800GTS. It’s yet another blog… yes it is and will probably never go anywhere but I’ll give it the old college try and see where it goes. I literally grew up with the birth of the Internet and while I’ve generally embraced technology I’ve never really had time for the great social craze that has spread across the Internet, Blogging. While I probably still don’t have the time I would like to share some of my thoughts, ideas, code and solutions for some of the technical problems that I encounter day in and day out in my real life job as the network architect for a large health care provider. While I’m on the journey I’m also curious about all the great tools that the Internet offers. The Internet has certainly come a long way from it’s early heydays with NCSA Mosaic. I can still remember messing with the IPX/SPX/ODI stack in MS-DOS trying to get the proper packet driver to load so that WinSock.DLL would function in Windows v3.1 and programs like NCSA Mosaic and Pegasus Mail would function properly. I’m sure there are those of us still around that can remember messing with HIMEM.SYS for hours until we were able to fit everything into memory when it came to Novell’s ODI stack. I’m also setting up a website that is designed to host some of the scripts and tools I’ve written and developed to help make managing a large network easier. I’m a staunch advocate of making the computer do the work. To that end I personally employ Perl, PHP, SNMP and Bash scripts. I do the majority of my development work on CentOS Linux. If your looking for a solid, reliable Linux distribution then you should definitely check out CentOS.